What’s on your must see list of social media for digital immigrants? I’m giving a talk next week to the North Shore Interest Group of the Harvard Business School Club of Chicago. The announcement is below. We’ll have Internet access and about 45 minutes. What would be on your list of must see items? Must know stories? Most useful perspectives? The comments are open for your input. Or you can send me a tweet at jmcgee. Let me suggest “#NSIGtour” as a hashtag. Starting near the elections of 2008, social media in all its forms has dominated the discussions and pontification around digital transformation that has been underwa y since the Internet boom and bust of the late 1990s. Facebook, Twitter, FourSquare, Yelp, LinkedIn, Apps, iPhone, iPad, Android, and other new terms pop up in otherwise ordinary conversations. Television news anchors read random tweets as polls close and well-informed pundits sit idly by. Bootleg videos taken on smartphones document citizen uprisings in the Middle East, but only after they are smuggled out of the country using technology designed and supported by the US Government. On April 12th, the North Shore Interest Group will take an interactive Cook’s Tour of the social media landscape led by early digital immigrant, Jim McGee. Although Jim can pass as a digital native, he understands the reservations and concerns of those who find this new world to be seriously foreign territory. We’ll visit the landmarks and the coming attractions of this new world. We’ll also explore some of the ruins. How to travel safely. How to look less like a target. How to stake out a basic clueful presence in the new world. And how to recalibrate our existing crap detectors to better separate signals from the digital noise. About Jim McGee Jim McGee is the Managing Director of New Shoreham Consulting, a Senior Partner with the Transforming Healthcare Consortium, and co-Founder of Collaborating Minds, an effort to hybridize high-performance teams and crowd sourcing principles to attack complex and wicked problems. He was also a co-founder of Diamond Management and Technology Consultants. For over 30 years, Jim has been helping organizations make more effective use of information and communications technologies. He’s attacked these problems as an entrepreneur, senior executive, professor, author, blogger, speaker, systems developer, designer, architect, and consultant. 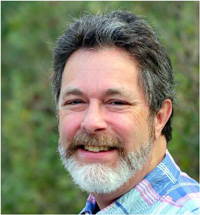 His blog, McGeesMusings.net, focuses on technology, organizations, and the management of complex knowledge work. Jim is also the co-author, with Larry Prusak, of Managing Information Strategically. Jim has a Doctorate in strategy, technology, and organization from the Harvard Business School, an MBA in strategy from the Harvard Business School, and a Bachelors in Statistics, from Princeton University. He’s an Adjunct Professor at DePaul University, and formerly was a Clinical Professor at the Kellogg School of Business at Northwestern University. Please sign up in advance. With enough R.S.V.P.’s we can order the buffet. Thanks for supporting the North Shore Interest Group! CANCELLATION POLICY: All cancellations must be received within two (2) business days of the event or the attendee who made the reservation will be charged, regardless of participation, due to costs associated with the reservation. NORTH SHORE INTEREST GROUP FUTURE DATES: We meet the second Thursday morning of every month. If you would like to present or have a suggestion for a presenter, please contact Alan Minoff. Thanks for supporting the North Shore Interest Group!